Run ins with ticks are inevitable during your pets' lifetime and this time of year they're particularly common. So what do you need to know? Since moving to the area and walking our dog in the beautiful scenery we have around Batheaston, Box, Corsham and Bradford on Avon, we have had a couple of run ins with these critters! Ticks are small creatures that are closely related to spiders and can be predominantly found lurking in grassy areas, such as fields and meadows. They are parasites and so always require a host to feed from, but also to provide somewhere to find a mate for breeding too. Ticks can also pick up disease from one mammalian host and then pass it onto another (including humans), resulting in a serious risk of disease spread. Varying in shape, colour and size, ticks are generally oval, flat and small: the size of a sesame seed when unfed, but once completely engorged with blood, they grow to the size and shape of a coffee bean. They look for hosts to latch onto, often by climbing to the top of a long blade of grass and waiting (a behaviour known as 'questing') for passing mammalian traffic, i.e. a sheep, cat, hedgehog, dog, or even you! What effects do ticks cause? Ticks aren't just pests that feast on your dog and cause him to itch; they can also be carriers of some serious diseases. UK ticks can carry a devastating condition called Lyme disease caused by serious bacteria, which affects both muscle and nerve cells. 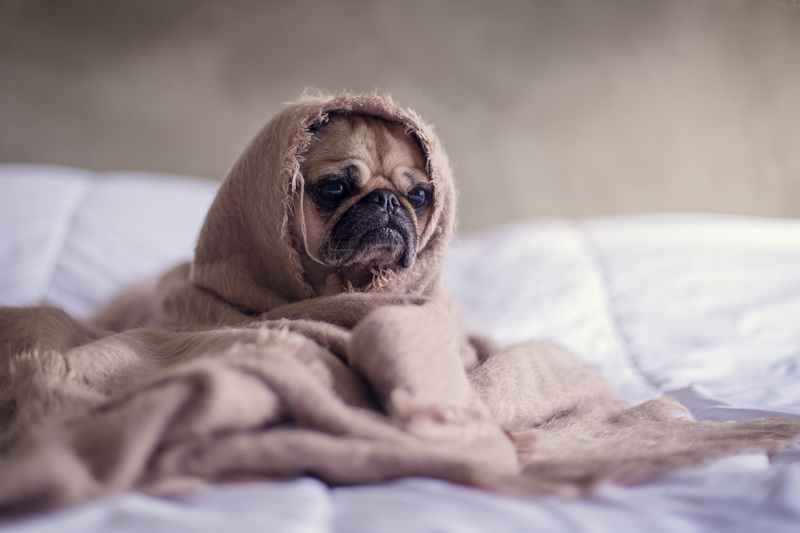 Animals may experience intermittent lameness, fever and lethargy while humans may show a rash, joint pain, fever, and headaches. If incorrectly diagnosed, and even left untreated, it can result in an extremely serious debilitating chronic illness with lifelong complications. 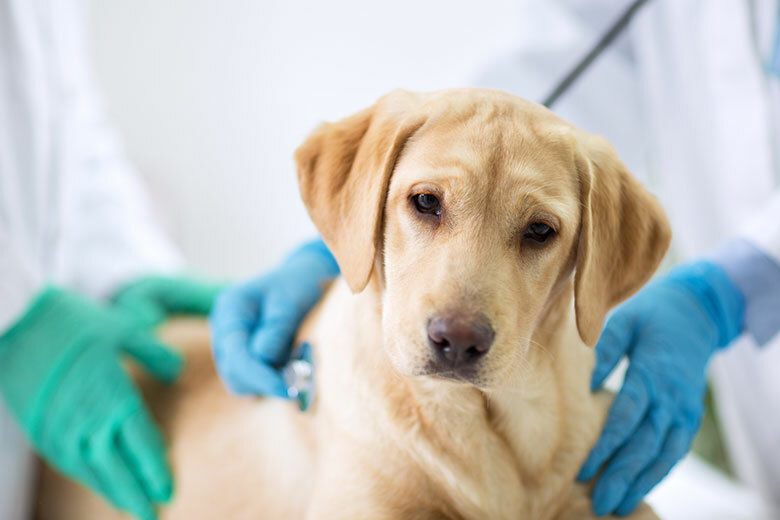 While the number of human cases of Lyme disease is rising, unfortunately it's a difficult disease to diagnose in dogs, with occasional signs of sudden arthritis, so prevention against ticks is of vital importance. How can I prevent my dog from getting ticks? There are many safe products on the market to prevent ticks: from spot-ons and sprays, to special collars impregnated with substances that infiltrate into the fatty layer in your dog's skin, killing ticks when they attempt to feed and get their first mouthful of anti-parasitically treated blood. 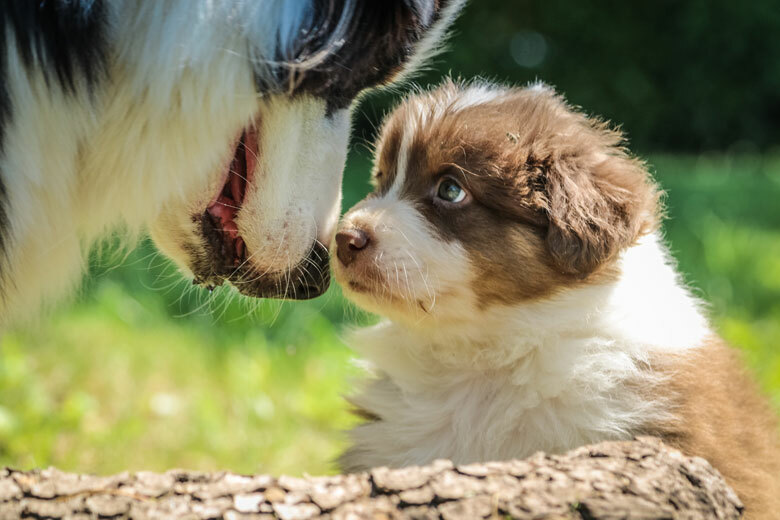 Ticks can be dangerous for any age of dog and indeed any breed (although long-haired breeds are probably more susceptible to picking them up) so it's important to know what to do if you spot one. Importantly, please don't panic and resist the urge to just pull it straight off. This would be extremely painful for your dog so ticks always need to be removed slowly and carefully, otherwise embedded mouth parts can be left behind. Or if ticks are 'stressed' - poked and prodded, burnt with a flame, or, as is commonly done, covered in Vaseline to suffocate them - ticks may regurgitate their bloody meal back into their host along with any disease they're carrying, thereby increasing the chances of disease transmission. 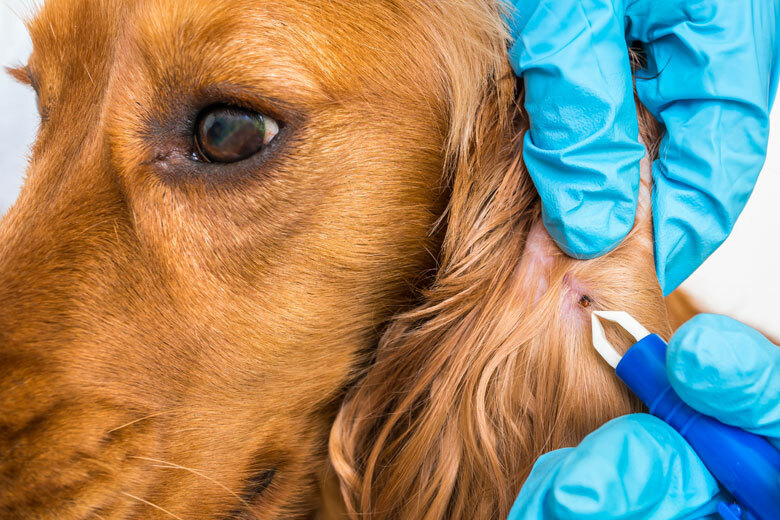 If found on your dog, ticks must be removed, however if done incorrectly, mouth parts left inside your dog could result in a local tissue reaction, inflammation and infection often requiring antibiotics, or even surgical removal. Therefore you may wish to speak to your vet about techniques on how to remove them effectively. To find out more about ticks, how to identify them, prevent or remove them, please contact your vet as a matter of importance for your dog's welfare and public health too.